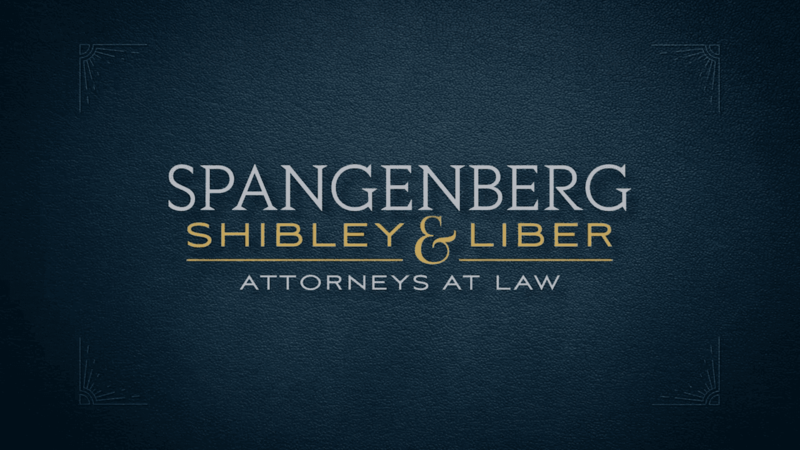 Spangenberg Shibley & Liber LLP is a Cleveland, Ohio-based personal injury and medical malpractice law firm. We maintain “Best Law Firms” U.S. News Tier 1 rankings in the areas of Medical Malpractice Law and Personal Injury Litigation. Through sophisticated legal representation in complex cases, we have earned a reputation of excellence both in and outside of the courtroom. When your rights and your future are on the line, you can trust an advocate at Spangenberg Shibley & Liber LLP. Our practice spans multiple areas and specialties, encompassing everything from toxic torts and contract disputes to wrongful death and life-changing birth injuries. We also handle mass tort and class action cases nationally. Our law firm is often referred cases from other attorneys who seek our knowledge and assistance with complex issues. Our in-depth, comprehensive understanding of effective strategies, trial preparation, and presentation can serve to benefit you. “We are beyond pleased.” Bay & Lynn B. “A sense of confidence and trust that our situation would be handled as best it could be” Caroline M.
“They were very down to earth and caring about our feelings.” Linda W.
“Everyone was very helpful.” Josephine P.
“You made me feel I had someone on my side.” Gwendolyn D.
“Commitment and results with integrity.” Harry H.
“I needed an attorney that could stand their ground.” Shirley M.
“I was treated like I mattered.” Mary Ann B. “I was extremely pleased with the firm.” Linda S.
“Treated with respect and compassion.” Bonnie E.
“He treated my mother as if she were his own mother.” Ginny H.
“Very considerate and problem free.” Reena G.
“We knew we were in great hands.” Dave and Janey M.
“We felt extremely well taken care of and relieved.” Tammy J. “You were nothing but helpful and made me feel at ease.” Jennifer F.
“I was their top priority.” Arleen C.
“I would recommend others and tell them your firm is simply the best!” Stephen T.
“Your law firm has been the best.” Margaret M.
“She's the kind of person you always wanted to talk to.” Virginia M.
“This is a super caring law firm.” Gary S.
“The firm is very reliable.” Rachael K.
“Thank you for your service and help.” Richard G.
“Friendly service and a favorable outcome.” Donald A. “She provided confidence and security in all matters.” John S.
“I was very pleased with the journey and the outcome.” Elaine B. When it comes down to who you can trust with your case, you need someone who is an experienced scholar of the law, who has the meticulous knowledge, aggressive litigation, and talented ingenuity that sets personal injury attorneys apart. Clients who choose Spangenberg Shibley & Liber LLP get exactly that. Each client who has suffered injustice or harm has been affected in a unique way. It is our duty to know and appreciate every important detail about how and why this harm occurred and to see that the client receives the full measure of justice the law allows. If you were injured wrongfully, you have the right to pursue a claim. Learn more by visiting our different areas of practice.